Mail - Telegraph - Telephone (Baku). In 1818 the first post office was opened in Elizavetpol (Ganja), and post offices in Baku and other provinces of Azerbaijan began to work thereafter. September 25, 1881 the Russian government approved the "Basic conditions for the installation and operation of city telephone messages in Russia." According to the document, the right to build and operate was granted to the entrepreneur for a period of 20 years, after which time the telephone facilities were to be transferred to the government free of charge. The government has the right to repurchase the network after 7 years, it has supervision of the network and its maintenance. The maximum charge for using the phone is set at 250 rubles a year, with a distance from the central station not exceeding 3 versts and 50 rubles per verst over three versts. A certain part of the gross collection is deducted in favor of the treasury. The government has the right to establish its own network in the same city. On the same terms, contracts were signed for the installation of telephone networks in Lodz, Nizhny Novgorod, Libava, Revel, Rostov on Don and Baku. November 23, 1881 was built the first telephone line of 6 km in length, officially considered the first telephone line in Baku. July 9, 1885 Director of the Baku Telegraph Station announced the readiness of plans for the construction of the Central Station to create a telephone network. In 1886, under the contract signed by Glavpochtamt, the construction of the Telephone Station in the city of Baku and its 20-year work capacity begin construction work. Yearbook of Baku in 1894. A. M. Mishon. 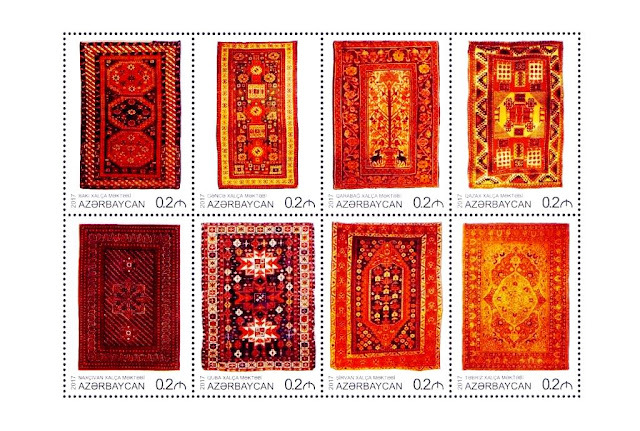 In 1901, the Baku Postal and Telegraph Office was established within the Tiflis Postal and Telegraph District. The only one in the city, moreover, located in a remote part of the city, it naturally could not meet new needs. In this regard, at the petition of the Congress of the Oil Industry in 1902, two postal and telegraph offices were opened. In the summer of 1903. stations Minvody, Petrovsk and Derbend Vladikavkaz railway were connected to the stations of Baku and Tiflis by railway telegraph. In 1903, a telegraph drive was suspended between Baku and Salyan. Baku. Telephone switchboard "Erickson", 1909. The telephone in Azerbaijan was developed mainly in Baku and its environs, serving the oil industry and trade and industry. 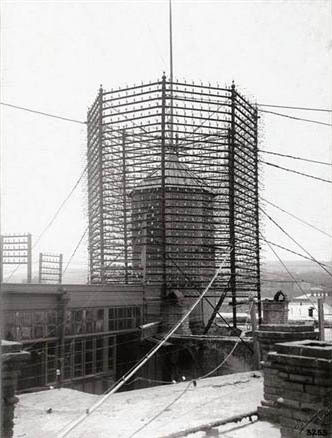 In 1906, the lease of the telephone network was completed and under the contract signed in 1886, the Baku Telephone Network on May 26 is given to the city administration. Baku. The telephone tower of the central telephone exchange. Police Street, Tumaev's house. 1909. 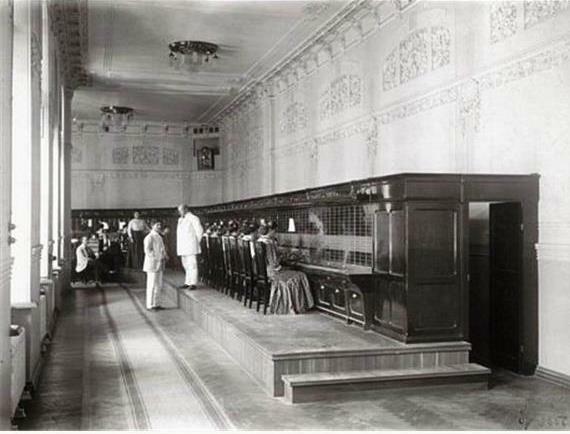 In 1907 there were 7 service switches for 1200 subscribers in the city center. Each switch served 171 subscribers. In each switch three women worked. On average, each subscriber received 57 subscribers, but in the period of accumulation of cases for each accounted for 5 calls. 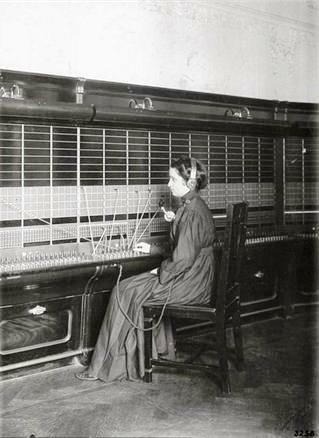 The first "telephone ladies" were educated, patient and polite. Young people - from 18 to 25 years old, and not married - "so that extra thoughts and worries do not lead to mistakes in connection." 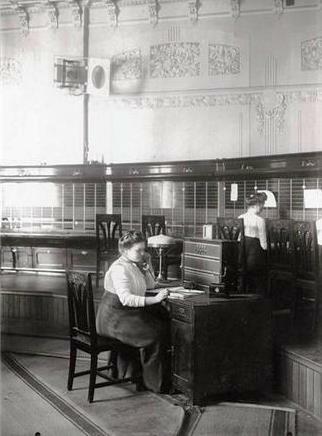 Even the "tactical-technical" characteristics of the telephone operators were strictly regulated: a high growth for those times (from 165 cm) and a length of the trunk in a sitting position with arms extended upwards of at least 128 cm. "Minister of Internal Affairs PA Stolypin approved" The new instruction on the service of women in the postal and telegraph department. " According to the instructions, only teens and widows aged between 18 and 30 can be admitted to the postal and telegraph office. An educational qualification is required in the amount of the course of an average educational institution or a diocesan school. Allowed girls and widows are allowed to remain in service and on leaving marriage, but only for officials who are employed in the same postal and telegraph institution. Dressed women should be in closed modest dresses of dark colors, whenever possible uniform styles. "(The newspaper" Ural edge ", Ekatinenburg, from February, 15th, 1909). On February 5, 1908, the Baku City Duma decided to expand the city telephone network. In 1911, oil tycoon Musa Nagiyev appealed to the government about the payment for the telephone service of the enterprise. September 5, 1911. City Administration makes a decision to install payphones on the streets of the city. In 1913 , the total number of subscribers of the Baku telephone network was 4176 people. In 1913 a direct telegraph communication was established between Baku and Tehran. August 5, 1916, the conditions for using the Baku City Network are accepted and approved. In 1916 the Baku postal and telegraph office was liquidated and separate postal and telegraph offices were set up. 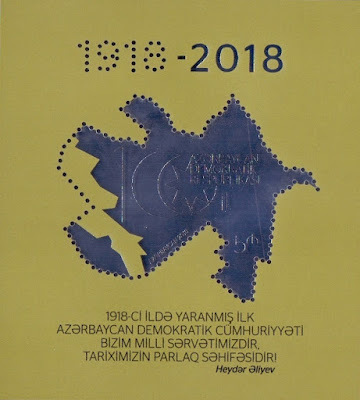 May 28, 1918 Azerbaijan was declared a Democratic Republic. On October 6, after the internal change, the Ministry of Post and Telegraph was organized. Khudadat bey Malik-Aslanov was appointed Minister of Railways, Post and Telegraph of the Interim Government. In 1919, postal and telegraph connections were established with neighboring states - Iran, Russia and Georgia. In 1920, N. Narimanov signed a decree on the nationalization of all telephone establishments. In November 1927 the longest communication line in Europe (3268 km) - Leningrad-Baku - was opened. In 1928 the number of telephone numbers in Baku reached the level of 5185. In 1930, a telephone station with manual control was being built in Mashtagh. 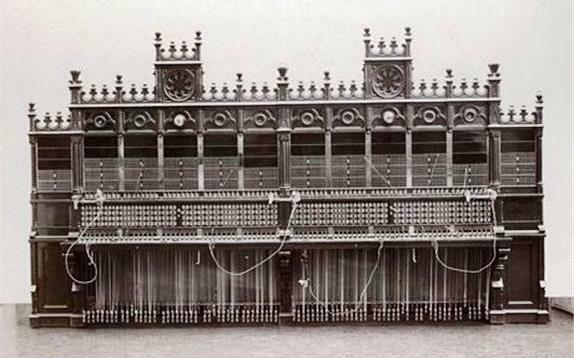 In 1932, the first automatic telephone exchange (ATS-3) was put into operation in Baku. On May 25, 1932, the "Soyuzpechat" office was organized. November 7, 1933 in the village of Sabunchi is put into operation ATS-4. One of the first three wire telephone units of Azerbaijan is installed in Baku. In the same, in 1933, the Baku Technical School of Electrical Engineering and Communications carries out its first graduates with specialists with secondary special education. 1933g. - the number of telephone exchanges reaches 63 units, of which 2 are system automatic telephone exchanges. 1933g. 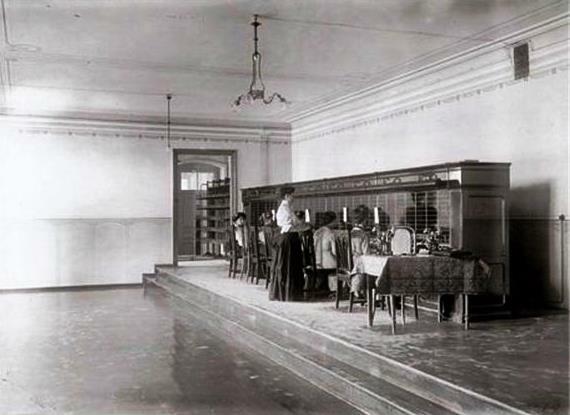 - The Baku long-distance telephone exchange is separated from the city telephone exchange and becomes an independent structure. In 1935, the number of telephone numbers in Baku reached 12,150 units. There were 20 payphones in the city. 1937. - The Baku telegraph has a bildapparat for two-way phototelegraph communication between Baku and Moscow. Trial reception and transmission gave good results. In early July, the phototelegraph entered service. In 1949 the Council of Ministers of Azerbaijan. The SSR signs a decree on the construction of automatic telephone exchanges in the city of Baku. In 1952, ATS-2 (the current 492) was put into operation in Baku with an assembly capacity of 3,000 numbers. In 1954, the Ministry of Communications of the Azerbaijan SSR was established. In 1959, ATS-6 (ATC-96, the current 440/441) is put into operation. On November 4, 1992, ATS-493/498 was put into operation in Baku. In 1996, the number of telephone sets in Baku reached 3 004 473. On May 10, 2001, the first state Internet network "Bakinternet" was established within the Baku Telephone Communication Production Association. On December 31, 2001, ATS-427 of the DNS type for 5000 numbers is put into operation. On February 20, 2004, the Ministry of Communications and Information Technologies of the Republic of Azerbaijan was established by the order of the President of the Republic of Azerbaijan.